From the silly fights to being dressed up as a girl by your sister, your relationship has always been an extraordinary one. This Rakshabandhan, Hidesign lets you pamper yourself while you indulge your sister! Hidesign offers you 30% OFF on a wallet when you purchase a handbag for your sister. Share the unconditional love by gifting a handcrafted Hidesign bag made using natural vegetable tanned leathers. 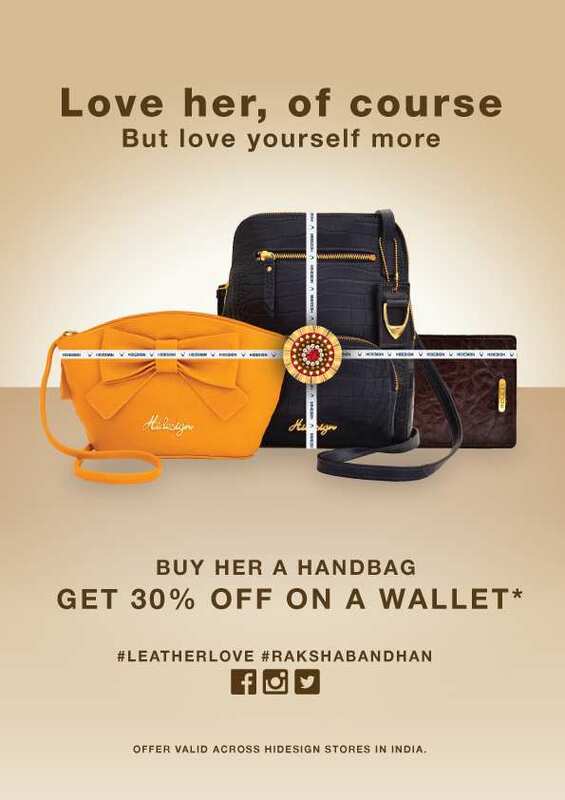 Make her feel special by choosing the perfect gift from our wide range of bags. Step in to our Hidesign stores from August 4-15, 2014 to avail the offer or you could also shop online at www.hidesign.com.